It is the biggest event of the year for wrestling fans all over the world. Every show since January has been driving towards this one event and it is the culmination of every major storyline in the WWE, and an event I haven’t missed since I was seven. 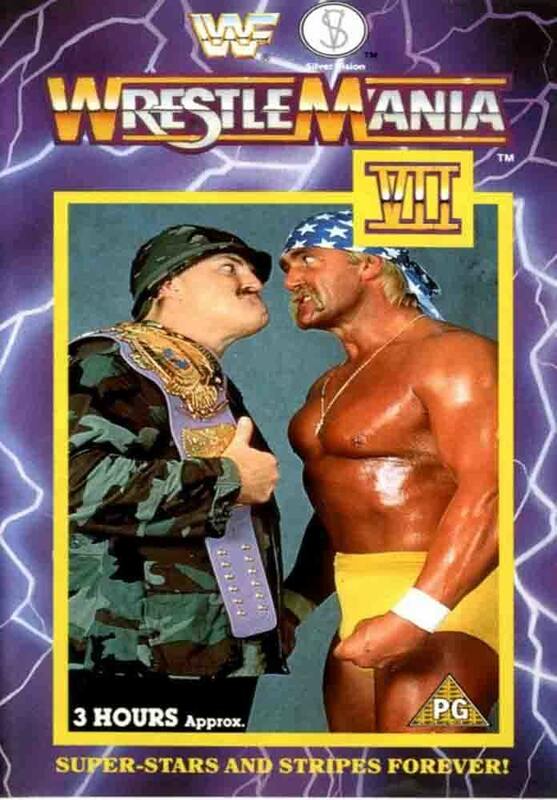 My earliest memory of watching Wreslemania is witnessing Hulk Hogan dropping the leg on Sargent Slaughter, and ending the first Gulf War. Admittedly, I haven’t kept up with the week-to-week events of the WWE recently, but this hasn’t stopped me from watching every year. I always find a way to see it whether it was alone in my dorm room on an illegal stream, or at a local sports bar with friends. By the way, the latter was probably the most fun I’ve every had watching the event, and I recommend anyone reading with even a fleeting interest in wrestling to seek out a local establishment and experience it. It goes without saying that Wrestlemania is the Super Bowl of wrestling. While it doesn’t have same meaning in the mainstream as the NFL’s yearly spectacular, the “Granddaddy of them all” has become the second biggest event in my family calender (outside of holidays). The odd part about my family’s viewing of the WWE’s biggest pay-per-view is that the majority of those in attendance haven’t watched a single match since our last gathering. But that doesn’t seem to matter. Each person picks out a favorite, who is chosen for reasons ranging from nostalgia to he’s really good looking. There’s taunting and cheering, but for most involved, it is the family gathering that keeps them coming back every year. The evening begins with everyone gathering in the kitchen and catching up on life events. Meanwhile, the wrestling aficionados clue in those who only watch once a year on what the storylines are behind the matches that night. There’s food and alcoholic drinks shared; not much different than parties surrounding that last football game. This night is the final time all of us will be in the same room until Thanksgiving, and the four-plus hours we spend together are much more about having a good time rather than the actual event. Well, not for those who watch it every week. There are side bets made and memories of past Wrestlemanias shared, but most of all there are plenty of laughs and good times had by all. We especially enjoy when the oldest member of the viewing party — my mother’s 66 year-old boyfriend — gets into matches, which includes the occasional fist pump when a “good guy” win a match, and the repeated groans when he doesn’t like something. And this year was no different. From the opening match featuring the Shield to the main event between John Cena and The Rock, countless wings were eaten and many more memories created, including my uncle foolishly betting that the Undertaker — 21-0, now — would lose. As the final match ended, we said our good byes, helped those who couldn’t pace themselves into their cars, and planned for next year’s gathering, my cousin gave one final opinion as he drove away, ‘I hope Cena isn’t the champ next year.’ Don’t we all, don’t we all.